The hubby and I have been making great strides in improving our health and part of the process is eating well. Meal planning is really important to ensure we can eat as healthy as possible without huge amounts of stress on me. Nothing worse than having a busy day and then coming home without any idea what to make for dinner. I usually do my planning on Friday night or Saturday morning and do my shopping on sometime during the weekend. 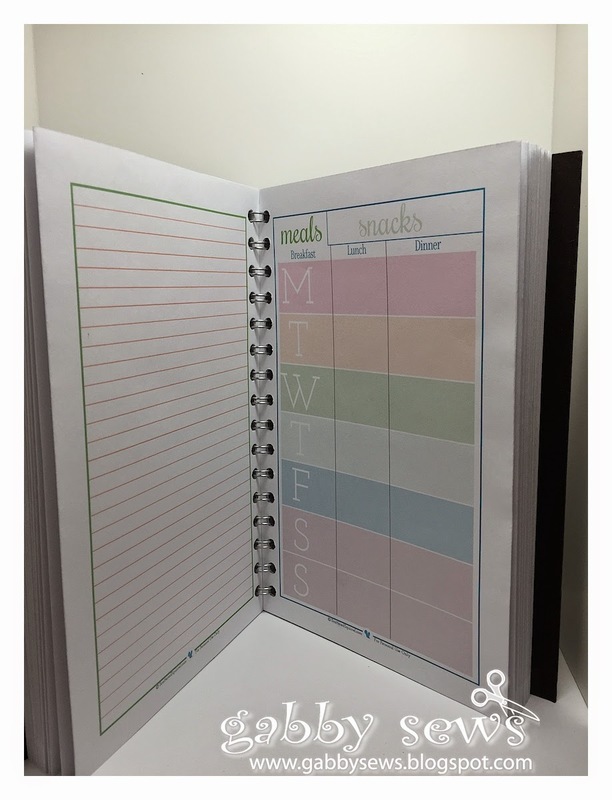 I saw these great free printables on ScatteredSquirrel.com and so I put together a binder that will contain all our meal plans for the year in one place. It's really great to be able to go back and see a particularly good meal plan and then copy it for a new week. This works well when I'm short on time or imagination. I can also make notes about changes I made and whether it was a hit or miss. I printed each page on Hammermill Premium Inkjet & Laser paper and then scored and folded the pages in half to create 8.5" x 5.5" pages. I glued the bottoms of the pages together with score tape to create pockets (good for holding new recipes I want to try or coupons for shopping) and then used my Cinch to bind it all together. The covers are just black chipboard cut to 8.5" x 6". 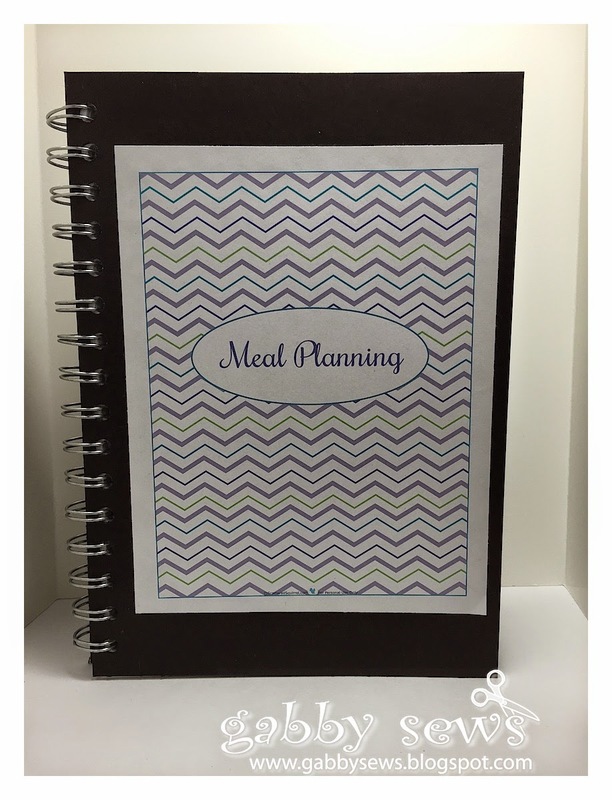 There are lots of other planner printables on the site I used so I'm sure I will be creating some other organizational helps.